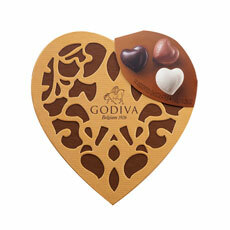 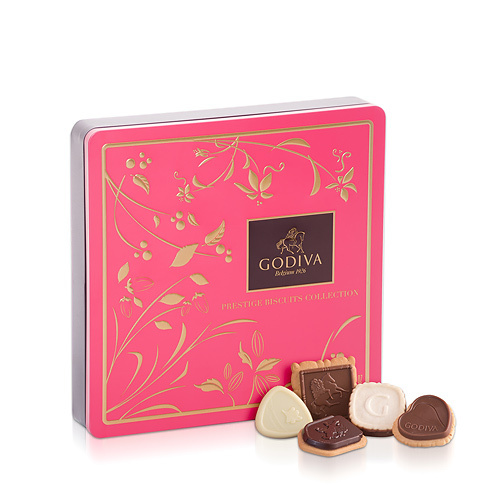 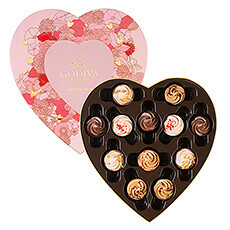 Indulge in this heavenly collection of your favorite Godiva biscuits nestled together in a handsome tin box. 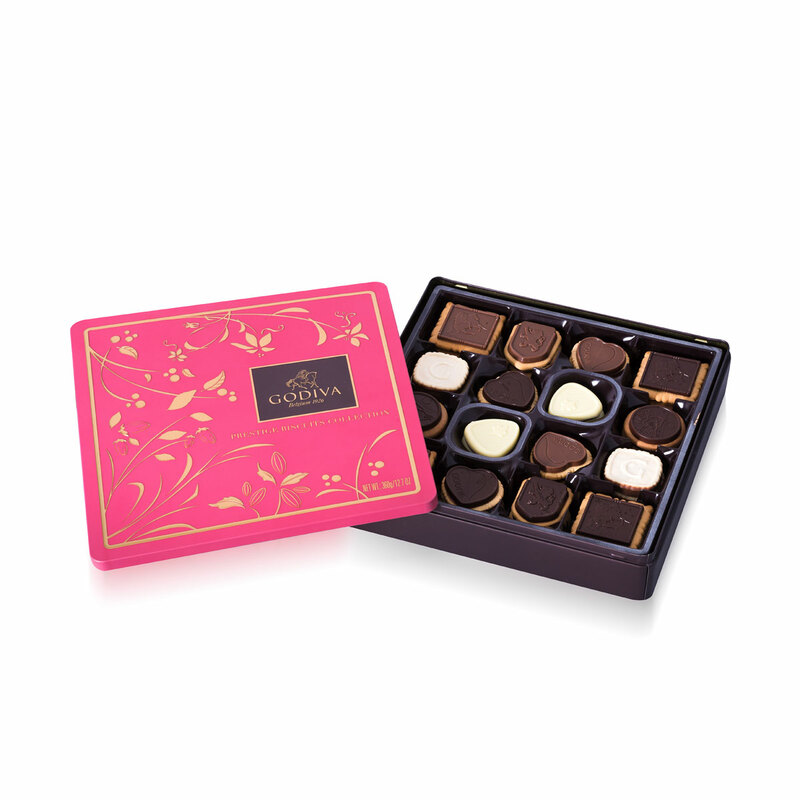 The beautiful tin box includes a delightful assortment of crisp European biscuits in 9 delicious flavors: dark caramel, milk hazelnut praliné, dark chocolate, milk caramel, raspberry white chocolate, vanilla dark chocolate, milk chocolate, dark chocolate truffle, and hazelnut praliné. 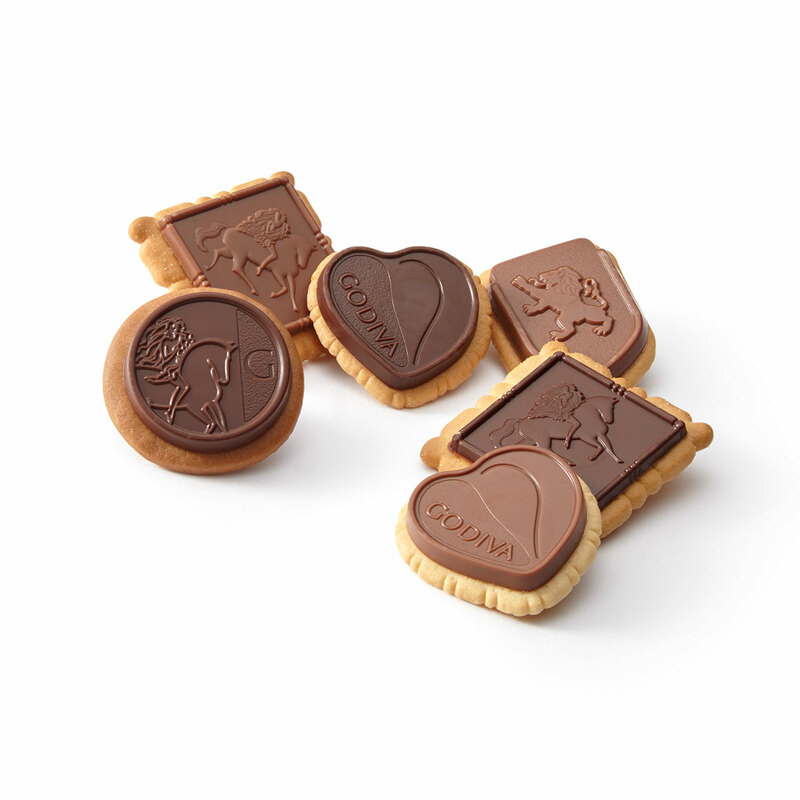 Savor the incomparable Godiva chocolate on the biscuits. 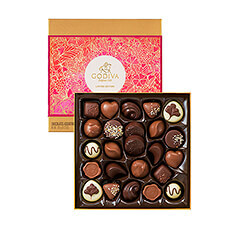 This is the perfect touch of daily luxury for teatime, dessert, or any time at all. 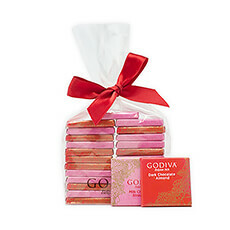 This box is carefully filled with a collection of 46 biscuits.